I am hearing this station via the LU5DNP SDR in Saladillo, Argentina. I have heard of it before, so it is nice to actually be able to hear it myself, even if not locally. 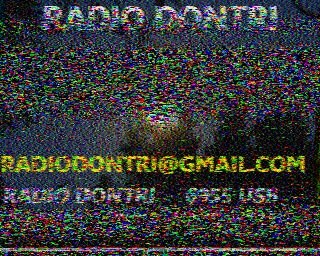 The station gives frequent IDs with phonetic letters, and even sends SSTV! I am contacting the station, to see if they are sometimes on the air at later times which would favor propagation to North America, considering we are hearing other pirates from South America.